8vo., publisher’s beige cloth with gilt lettering and ornamentation to spine, (unclipped) dust jacket designed by John Piper, blue top edge, pp. 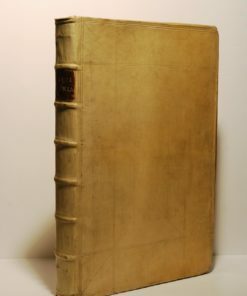 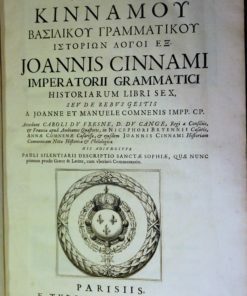 xxiv, 232, with numerous black-and-white photographic illustrations. 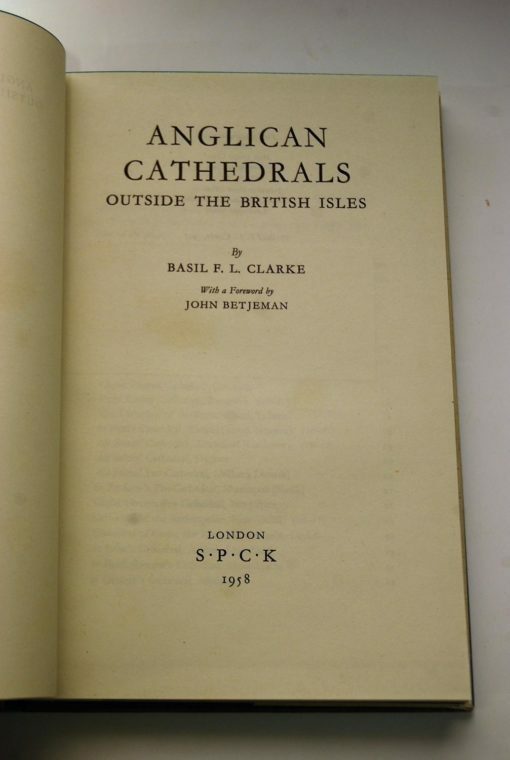 Forward by John Betjeman. 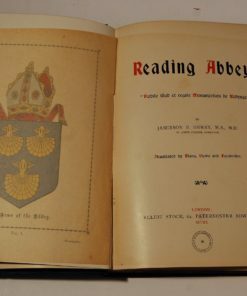 Some staining to outer pages, discoloration to dust jacket, dust jacket a little worn at extremities; otherwise very good. 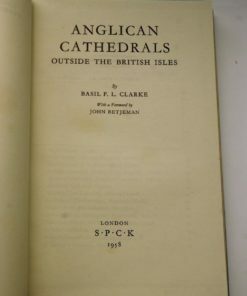 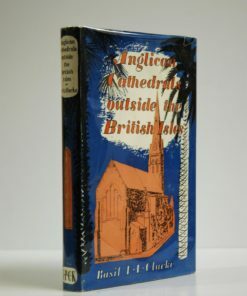 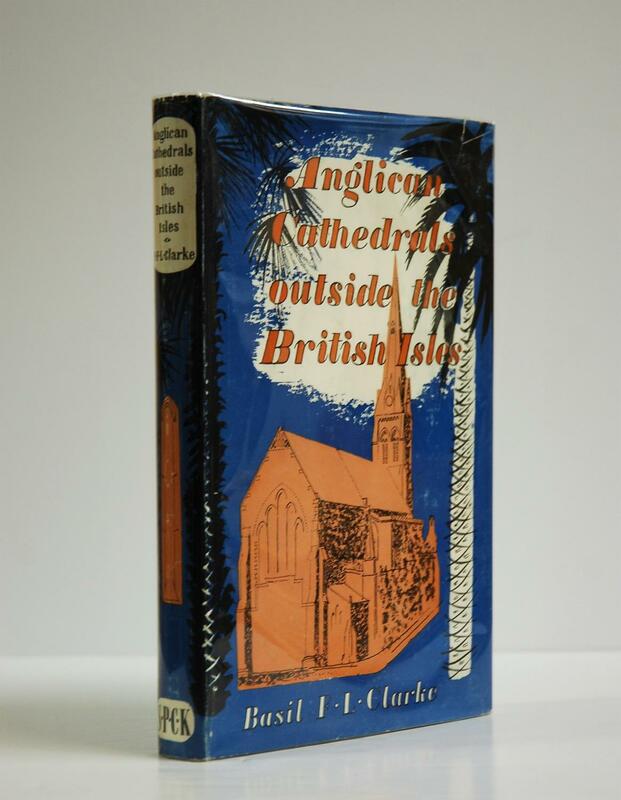 A very rare book describing more than 230 buildings, ‘cathedrals of the Anglican Communion which are–from the British point of view–overseas’, almost half of which are shown in illustrations.